I have been making daily postings to this Two Worlds blog since about 2010, and I actually made some postings even earlier, in 2009. I think I am up to something over 2,000 postings by now, all more or less related to the idea that we live in "Two Worlds" simultaneously. I find this construct helpful. Of course, it's just an "idea," a way of explaining our situation. The "human world," in which we most immediately reside, is a world we build ourselves. It is the realm in which our human freedom is displayed. The laws of our "human world" are the laws that we determine we want to follow; they are "prescriptions," which we write for ourselves. By these "human laws" we tell ourselves what we "ought" to do, or what we "want" to do - and of course we can (and do) change our mind. Our human laws do not, in fact, actually constrain us. We call them "laws," but they can never make us do what they recommend. They are just like doctors' prescriptions, which can't make us take the medicine that they advise. Our "human world" is built within the World of Nature, upon which we ultimately depend. The "natural laws" that govern the World of Nature are not ones that derive from human choice. You can't "break" the law of gravity (as an example). You can't pump carbon dioxide into the atmosphere in ever increasing amounts and not expect the world to heat up. The "laws of nature" are not prescriptions. They are not "advisory." The "laws of nature" are descriptions. They tell us what "will" happen, not what we want to happen, or think ought to happen. The reason I find the "Two Worlds" construct helpful is that I think it properly orients us to the reality of our human existence. Within our world, we can choose to do whatever we want, and can build a world to accomplish that. Should we decide that we need a new law governing marriage (or taxation), we can make the change. We can also choose whether or not to conform our activities to what the laws of the World of Nature demand. If we don't want the world to heat up, for example, we can stop burning hydrocarbon fuels. It's our choice. In the World of Nature, the laws don't tell us what we have to do, but they do tell us what our limits are. And as Conservation International tells us, in a compelling series of short videos called "Nature is speaking," Nature doesn't need people. People need Nature. We ought to pay attention to those limits set by the Natural World. While that seems obvious to me, it also seems clear to me that we humans often think we can "break" the constraints and limits of the Natural World (treating Nature as though it were "our" world, subject to our command). Conversely, we often seem to act as though the arrangements that exist in our "human world" are fixed and inevitable; yet, the exact opposite is the truth. I thought up the Two Worlds title for this blog based on the thinking I have just described. As I have been writing my individual postings, however, I have begun wondering whether the "Two" in the title may be a bit misleading. I remember writing last year about Barbara Ehrenreich, and her experience with "transcendence." I suggested that we perhaps live in "Three Worlds," rather than "Two," with World number Three being, in essence, a world of the spirit, the world of transcendence, a realm of which we get various evidences but which is not immediately tangible or measurable, the way those other "Two Worlds" are. If it really takes "Three Worlds" to describe our situation completely, World number Three would be some kind of "spiritual" realm. I am clear that humans beings did not "create" the World of Nature, upon which all life ultimately depends, and I have been known to call the World of Nature the "World that God created." The idea that we exist as creatures, utterly dependent on a Creator God, has largely fallen out of favor. Query whether this hasn't been a factor in our apparent obliviousness to the destruction that our activities (carried out in the human world) are wreaking upon the World of Nature. Jerry Mander, in a book I have mentioned in this blog, In The Absence of the Sacred, gets to the point. The other day, I came upon an article about "panpsychism," published in JSTOR Daily. JSTOR Daily, I think, would be counted a respected academic journal. If you'd like to read up on panpsychism, you can read the article, or you can click this link for a description in the Stanford Encyclopedia of Philosophy. According to the Stanford encyclopedia, "panpsychism" is "the doctrine that mind is a fundamental feature of the world which exists throughout the universe." Maybe, there is some clue there to what might be the nature of that "World Number Three" that may be missing from my "Two Worlds" construct. I am going to start thinking more about panpsychism. I recommend that we all try. The concept seems to posit some kind of "world" beyond the World of Nature, a "world" that contains the World of Nature, and that encompasses and supports that World just as the World of Nature encompasses and supports the "human world" that we create. As Paul of Tarsus said in Thessalonica, if such a "spiritual world" exists, this is the world in which "we live, and move, and have our being." Thank you for the incredible effort you’ve put into this blog, posting every day. I’ve long admired your work here. As you know, I differ in my perception of the “world,” we inhabit. I see it as only one world inhabited by a marvelous diversity of animals, plants and the non-living world that supports us all. This one world is the home of many species, including “Homo sapiens,” our own animal species that lives in the natural world along with an astonishing diversity of other species. Murray Bookchin described the natural world as “First Nature,” the world we all share. He described the human world of mental and physical construction as “Second Nature,” a part of First Nature, not separate from it. I think it’s particularly dangerous to think of a “Third Nature,” a nonsubstantial world of the spirit that exists separate from First and Second Nature. Spirit is a product of the human mind and therefore a subset of Second Nature, not a superset of First Nature. It is the human mental construct of a spiritual world that has allowed the perception of a separation between First and Second Nature, between humans and the natural world. The Descartean separation of human from spirit in the Enlightenment fostered a parallel separation of human from Nature that has resulted in our current culture of subjugation of the natural world to human desires and control. It is important to me to reunite First and Second Nature, to rebuild the understanding that humans live as a part of the natural world, not apart from it. Humans, as the only species with the ability to appreciate and anticipate the consequences of our actions, have a self-imposed moral obligation to limit our activities such that we do not decrease the diversity and viability of all other species and habitats with which we share this world. 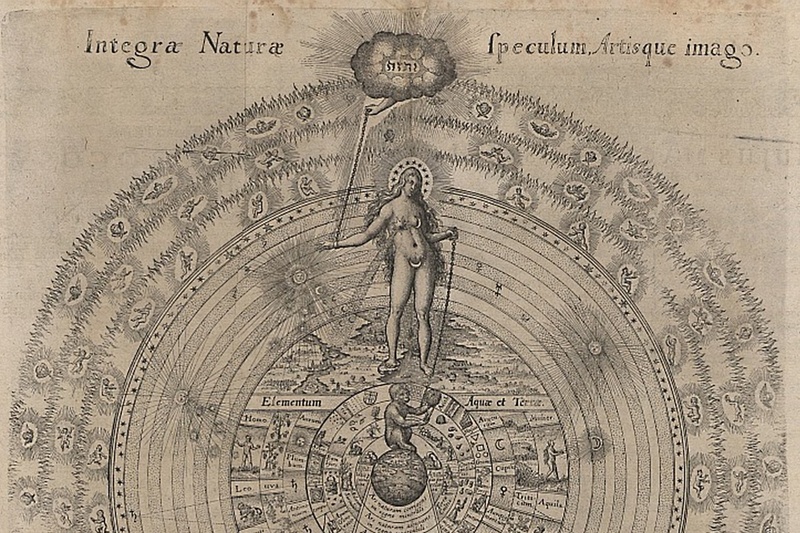 I read the article provided and am convinced that to embrace Panpsychism is to take a step back into the Dark Ages, leaving knowledge, education, learning and critical-thinking in the dust. From the article: "Perhaps the biggest strike against panpsychism, then, is simply that it seems “far out”—loopy and spiritual—in an era when the dominant culture is fixated on the ideas of scientific accuracy, logical rigor, and quantitative precision. It dares, in other words, to speak about the fundamental nature of the world in an imprecise and metaphorical style. Panpsychists speak of matter having “feelings,” of “the will,” of “Nature, which is the same as God,” of a “world soul.” These are phrases our discourse has all but banished to the broom cupboard, along with alchemy, astrology, hex-craft, and magic." 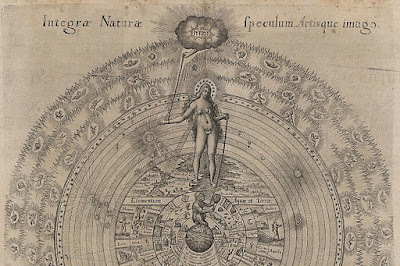 The philosophy of “panpsychism,” "the doctrine that mind is a fundamental feature of the world which exists throughout the universe,” is a product of the human mind, which is based in the physiology of the human brain. There is no physical evidence of a world beyond the world of Nature, of a Creator God, nor of mind evident in all aspects of the Universe. This is a human idea, not a physical reality. Just because humans can think it up doesn’t mean it is so. Inventing a spiritual “Third World” creates another “out” for humans in taking responsibility for their actions that so affect the natural world in which we all live. If we think there is something else “out there” that contains the natural world, that lets us off the hook and we don’t have to worry so much about what we do. Someone/thing else is in control. It is true that we don’t fully understand the natural world. The Universe is far too complex, chaotic and nonlinear for us to readily appreciate the intricacies of its intermingling processes and cycles. Our brains are evolved to respond to immediate causes and effects: sabertooth tigers lunging from the bushes, mammoths waiting over the next hill to provide our dinner. While we may not understand everything that goes on in the Universe, that does not give us reason to fall back on supernatural explanations for what we discover. The Universe is physically real and does not disappear when we stop paying attention to it. This is why I have long cautioned against over emphasis on human caused climate change as a rationale for reducing human impacts on the natural world. It is not true that “If we don't want the world to heat up we can stop burning hydrocarbon fuels.” There just is no scientifically determined causal correlation between atmospheric CO2 concentration and global average surface temperature. Based on physical evidence, burning fossil fuels does not directly contribute to increasing global average surface temperature. There are physical processes and cycles that have far more influence on naturally occurring climate variation than can be attributed to fluctuations of atmospheric CO2 concentration. Climate science is in a state flux, attempting to work its way through unfortunate politicization and misrepresentation of its findings and conclusions. The “consensus,” if there ever was one, may shift in directions that no longer support the idea of basic human causation of climate variation. Then that rationale for reducing human impacts on the natural world will disappear. There is a very real relationship between humans and the natural world, a relationship firmly based in millions of years of evolution. If we stick to that as a scientifically established physical reality, we avoid the quivering threat of climate change quicksand. I use panpsychism to answer the hard problem of consciousness. The hard problem of consciousness is, (to put it briefly): "If everything works deterministically, couldn't it just do whatever it's going to do, without any conscious experience of it?" We can imagine all of the atoms and molecules and simulated thoughts and feelings occuring in a world, but without anybody having an actual experience of it. Some people call it the "zombie" hypothesis; I prefer to call it the "undreamed dream" hypothesis: An entire world, mathematically governed, in full accord with the laws of physics, but there's not one person who has ever actually "lived" in this world. Nobody has a life dream of what it's like to be in that world. The people in the undreamed dream talk about their conscious experiences and such, but since nobody is dreaming that dream, their talk of conscious experiences are empty -- unexperienced, like a movie playing in a dark sealed room, with nobody in it, and that no light or sound comes out of. The question for physicists is: If the mathematical description of the world, or the physical description of the world, fully explains the complete operations of everything in the world, then why is there such a thing as it feeling like something to "live" in the world? Because it would operate just the same, without any consciousness "inhabiting" the brains in the world. All we have to do is point to the physical laws, and that should fully describe what happens. But it doesn't: At no point does physics have an conceptualization of "consciousness", or "experience", etc.,. It can talk about sophisticated simulations of experience (what happens in a brain,) but whether there is an entity that has an experience of being "inside of" the brain, somehow -- physics is mute. Pan-psychism offers an assumption that, if it were true, would answer the problem: If all physical processes have some degree of consciousness associated with them, then consciousness comes "baked in." Perhaps there is something that it is like to be a galaxy, or a planet, or a tree, or maybe even a doorknob, a hand, and/or a hand turning a doorknob. If consciousness is "baked in," then that's how it is that we're conscious, and further, able to conceptualize what it is to be conscious. If I believe in pan-psychism, I'd personally be inclined to believe in some degree of consciosness-over-matter, because it would make it easy to explain how it is that we're having this conversation about consciousness and pan-psychism.